EMS is an environmental health and safety management company partnering with commercial/industrial clients primarily in Food Manufacturing, Industrial Manufacturing and Metal Forming industries in the United States. We’re a diverse group of environmental, health and safety professionals with over 85 collective years of project related experience. Our employees maintain a wide variety of environmental, health and safety certifications, licenses and degrees. Our people are committed to continual educational development in order to evolve with the advancement of the regulatory and technical community. EMS maintains a staff of 15 employees in the Corporate Office located at 3209 West Smith Valley Road in Indianapolis, Indiana. 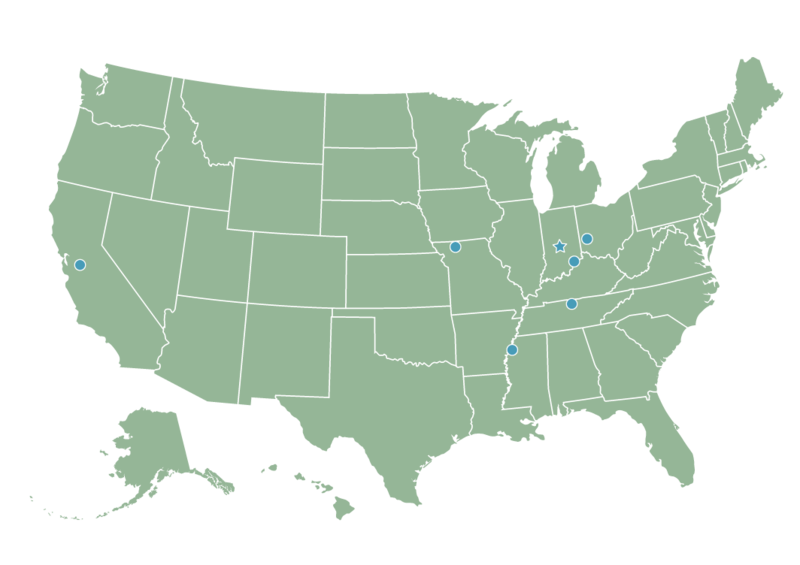 Currently, EMS is currently conducting business in eleven states throughout the Great Plains, Southeastern and Midwestern regions of the United States. EMS is your full-service partner for environmental, health and safety management. We specialize in providing regulatory compliance assistance. Our customers have a high level of trust, confidence and respect for our professional abilities. The EMS team has considerable experience evaluating regulations while concurrently, negotiating with regulatory agencies. Due to the complexity of environmental, health and safety regulations and permitting issues, EMS believes forging relationships with regulatory agencies is a pivotal piece of any regulatory driven program.